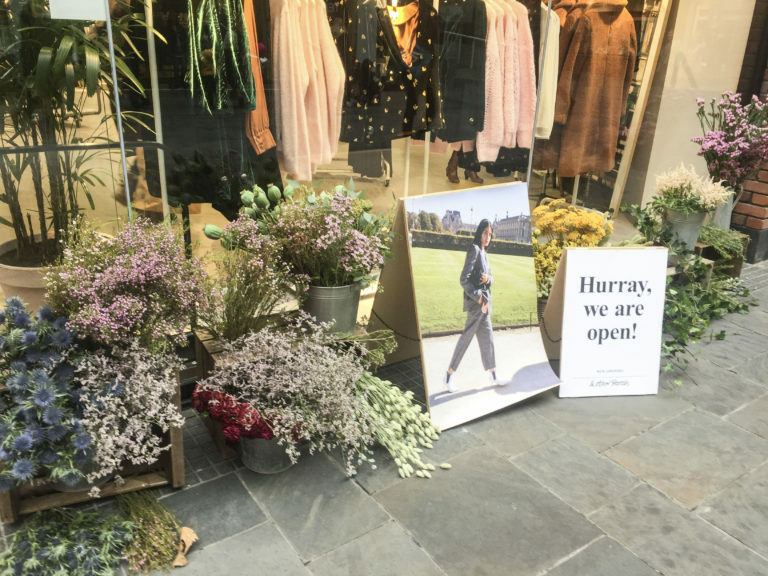 This store represents one of just a handful of the brand’s regional locations outside of London. 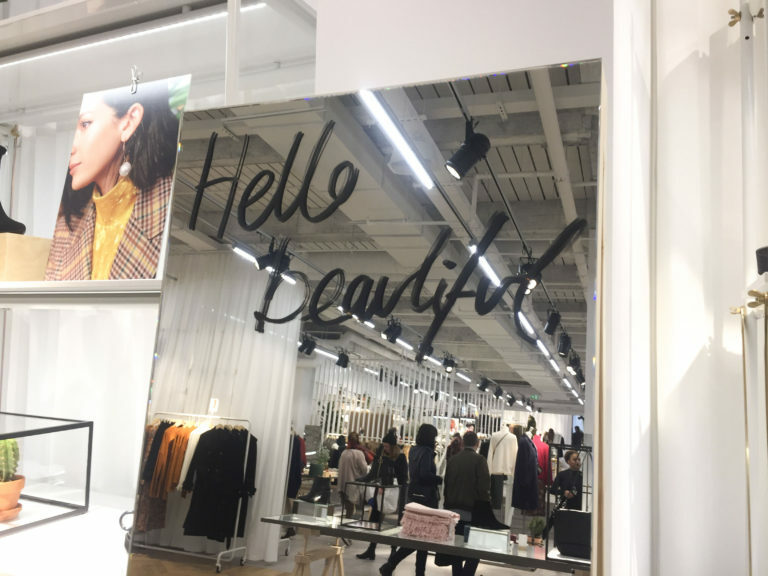 With stores in Dublin, Manchester and soon Liverpool, this brand is clearly making steps to expand their presence across the UK and Ireland. 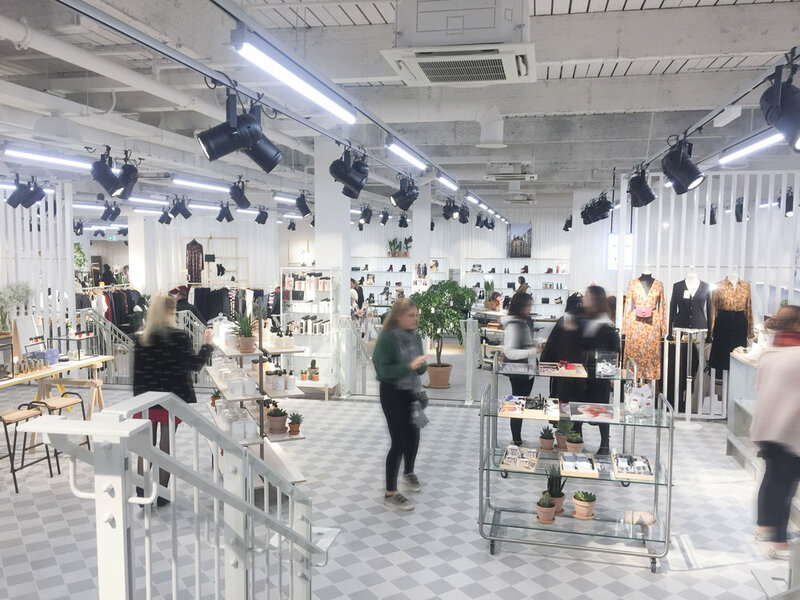 It’s great to see that international brands can see potential for growth in Bristol’s shopping quarters. 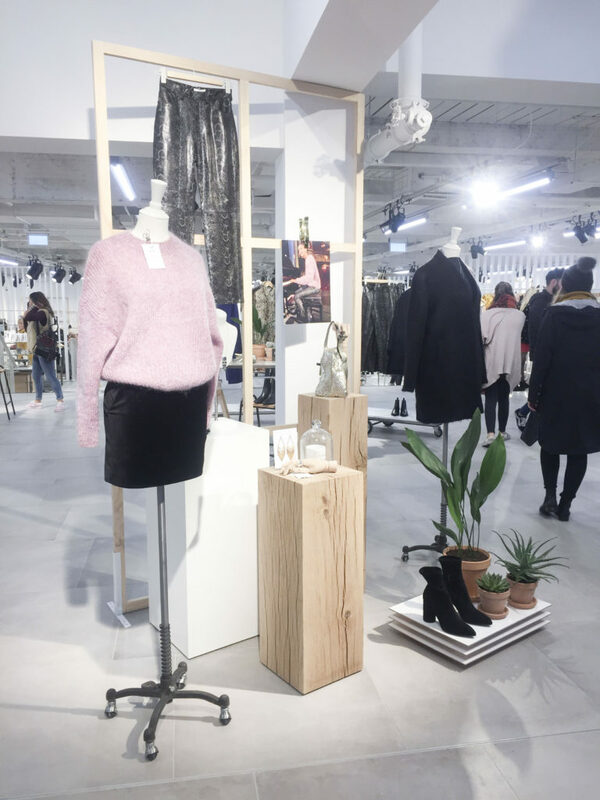 At a glance, this large space has the look and feel of a pop up store with flexible elements that will allow the space to be refreshed and transformed easily. There are few permanent build elements within the space. 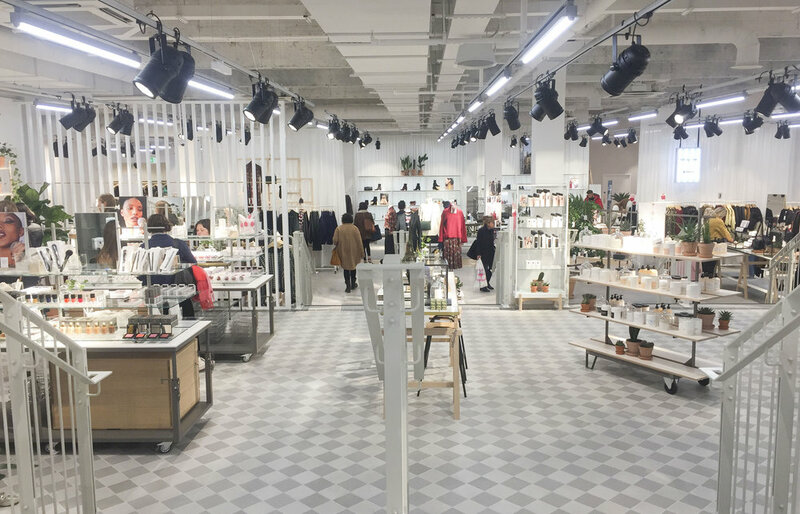 Continuing & Other Stories flexible and stripped back approach to retail design, the Bristol store occupies a large space with an exposed ceiling leaving the concrete finish, lighting tracks and ducting on view. These utilitarian elements are softened by large rugs, plenty of indoor planting and white curtains from floor to ceiling that gently divide the space. 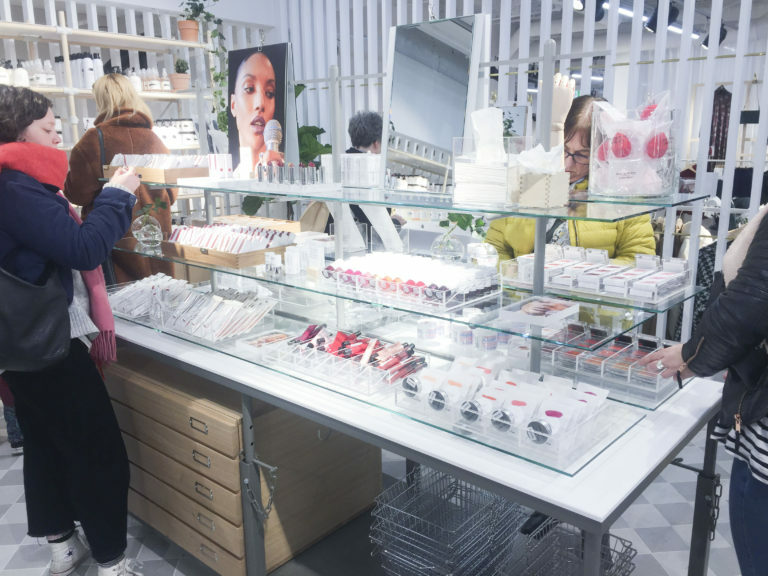 The 12,682 square foot store is split across three levels, with a mixture of women’s clothing, accessories, beauty and hair care products across the space. The lowest level felt the most welcoming and warm with the help of a classic parquet flooring. 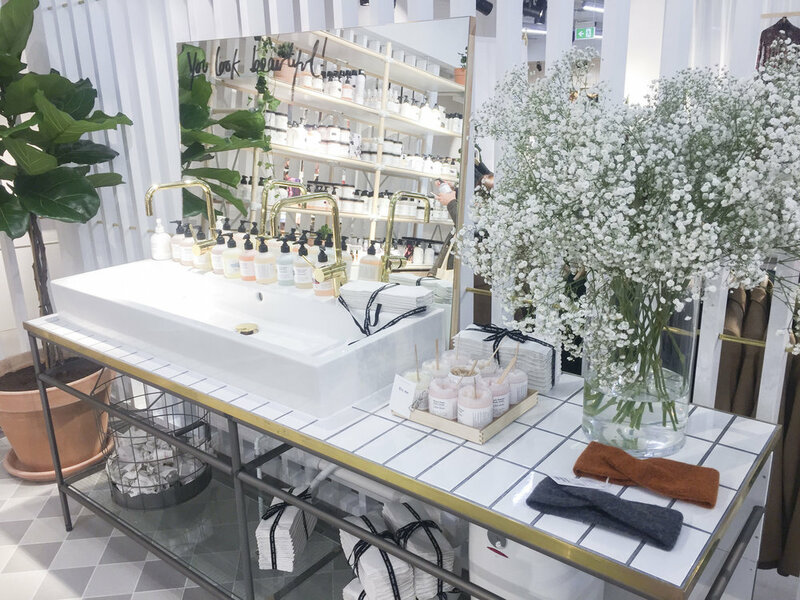 There are many beautifully edited elements to this store – mini displays featuring product, graphics, plants and bespoke joinery are dotted around the space and provide little moments of inspiration. Make up and beauty products (including a delicious hand scrub!) are available to test out in a dedicated area featuring a large belfast sink. 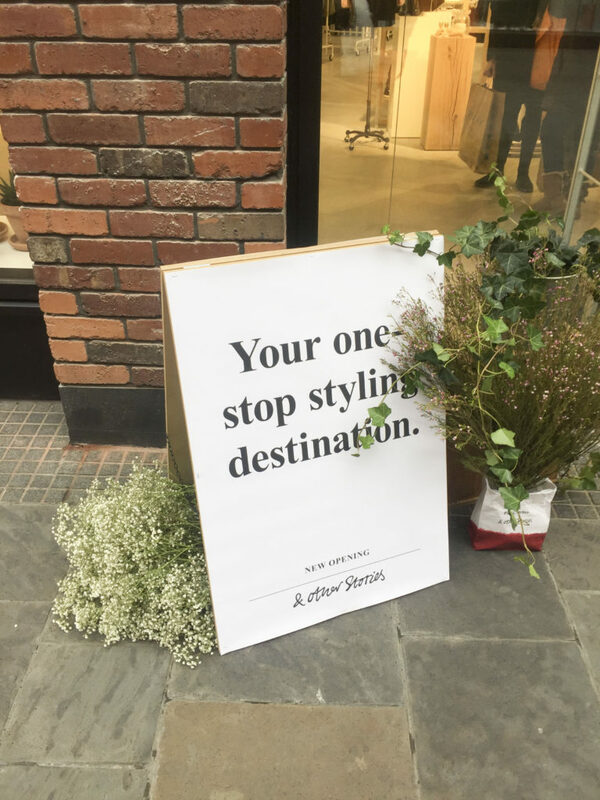 This store brings a unique, ‘atelier’ shopping experience to Cabot Circus and the opportunity to shop a brand that has been until recently, exclusive to London and Europe. 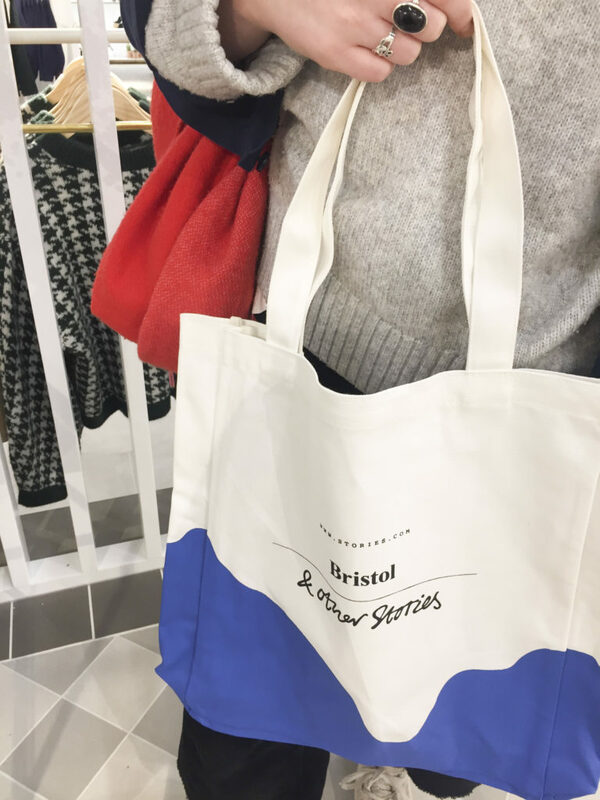 We also got a free Bristol x Other Stories tote bag – who doesn’t love a free gift?